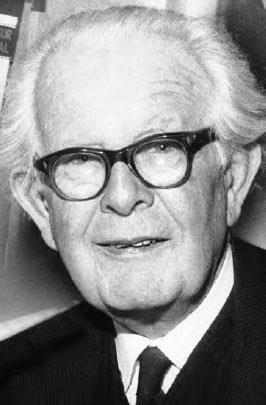 Jean Piaget (1896–1980) was a Swiss psychologist who pioneered the study of cognitive development. Ironically, Piaget never received formal training in psychology. In fact, he received his doctorate in the natural sciences. Along with Freud and B.F. Skinner, however, Piaget is one of the most influential figures in all of psychology. Piaget showed a talent for scientific research from a very early age. He published his first scientific paper on the albino sparrow at age ten, although the publisher had no idea of his extraordinary youth. For four years in his early teens, he classified mollusks in the Neuchåtel Natural History Museum in Switzerland. He published several more scholarly papers from ages fifteen to eighteen. Around the same time, Piaget visited his godfather, Samuel Cornut, who felt that Piaget’s education was weighted toward the natural sciences. Cornut introduced him to philosophy, sparking Piaget’s interest in epistemology, the philosophical study of knowledge. Questions such as “What is knowledge?” and “Where does knowledge come from?” would form the foundation of his later work. Jean Piaget (1896–1980) made fundamental contributions to our understanding of children’s intellectual development ) (AP/WideWorld).